Graham—who was handpicked by Harvey Weinstein for the project—shares what audiences can expect from the highly anticipated A.R.T. production. By Yiqing Shao·	 7/11/2014, 1:50 p.m.
Expectations are high for the forthcoming A.R.T. musical Finding Neverland. 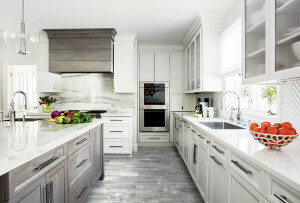 Presented by special arrangement with Harvey Weinstein, the production gained widespread national attention after Jennifer Hudson performed a song from the show at the Tonys in June. 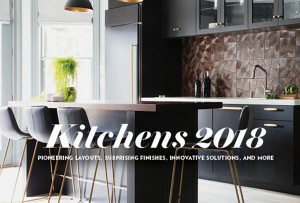 The show was on the radar of theater enthusiasts much earlier, though, as some of the biggest names in the business are involved in the production. In addition to Hollywood juggernaut Weinstein, Finding Neverland is directed by A.R.T. artistic director Diane Paulus (Pippin, Amaluna), with choreography by Mia Michaels (So You Think You Can Dance), and music and lyrics by Eliot Kennedy and Gary Barlow (of the pop group Take That). The musical stars Jeremy Jordan (Smash, Newsies) as J.M. Barrie and Laura Michelle Kelly (Mary Poppins) as Sylvia Llewelyn Davies. Tech rehearsals kicked off this week for the musical, which is based on the 2004 film starring Johnny Depp and Kate Winslet. We recently talked with the musical’s writer, James Graham, to find out what audiences can expect when Finding Neverland opens July 23, and what it was like to write a musical based on a film about a playwright writing a play about the boy who wouldn’t grow up: Peter Pan. Tell me about how you got involved with Finding Neverland. I’ve been writing plays in London for quite a while. In 2012 I had a play [This House] at the National Theatre in London, which, luckily, went really well. Harvey Weinstein contacted me to discuss future film projects. A couple of weeks following, he got in touch and queried about the possibility of me working on this musical, which took me completely by surprise. I’d seen the film years ago and adored it, but I’d never written a musical before. I took a chance. I’d been frustratingly labeled a serious political playwright and always wanted to try something new. What are some of the big differences between writing a play and writing a musical? The main difference is that being a playwright or a screenwriter is quite an isolating process in the first instance. With the musical, from the very beginning I worked with Harvey directly and with Diane Paulus on structuring the show. And obviously you’re working very closely with composers. It’s sort of reductive to say this, but I was always told that in musicals people sing because the emotion gets so high that the only choice for the character is to sing. So the joke is that you build up the drama, and as soon as it gets to the most dramatic point, you hand it off to somebody else. 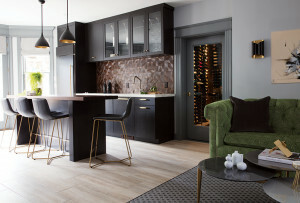 That was strange for me, but [what resulted was] a beautiful back-and-forth of collaboration. How was it working with Diane Paulus? She played a huge role and is ferociously talented. The way Diane is brilliant is that she has so much experience in the structure and form of the musical. It’s forensic—she’s able to dissect, take apart, and then rebuild. 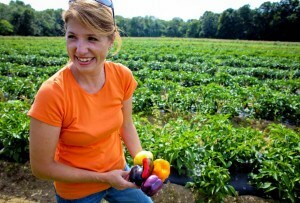 And the most exciting thing is that she is the artistic director of the A.R.T. 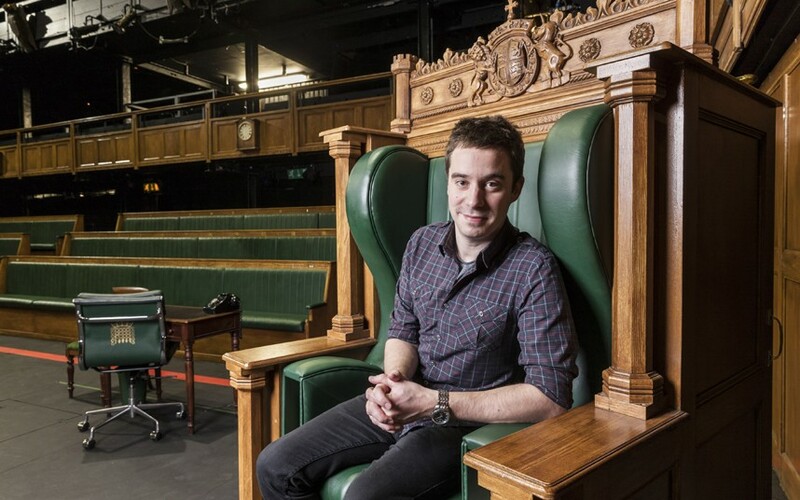 When I was working in London, I was aware of the amazing shows that were being built there before they became huge successes worldwide, so I was thrilled to come to Cambridge and make this musical. And how have rehearsals been? I understand you started tech this week. That’s true. We just walked into the theater and it was very exciting. You spend five weeks rehearsing, imagining what the stage and set will be like—and I’ve been imagining what it would look like for 18 months now—so walking to the actual stage, to see that world, was really great. We were jumping up and down. What changes have you made adapting the film into a musical, and what elements from the movie were essential to keep? David Magee, who wrote that screenplay, did such a wonderful job in building that world of London society, the turn of the last century, and the enchanting character journey—J.M. Barrie’s journey of being a man who should be really happy, but for some reason hasn’t found himself yet. He’s suppressed a lot of his natural childhood instincts, and it’s only when meeting this family that he finds who he really is, and in so doing, creates this amazing play Peter Pan. All of that was in the film, but the joy of theater is that you get to expand the world rather than contract. For example, there’s a small exchange in the film when Charles Frohman explains what a play means to him. It only lasts a couple of seconds on screen, but it inspired the composers. So we’ve expanded it into a whole song-and-dance number. What should people expect when they go see the musical? People who love and know the film are definitely going to love this show. We keep the most magical elements of the film and then take it to a whole new level of make-believe. People who don’t know the film are going to love it as well. They’ll learn for the first time the amazing story about this playwright and family. It’s a family musical. We ask questions about what it is to grow up, what it is to lose yourself, and modern questions about what family units are like. We even look at what grief is, but we do it in a way that is really magical and accessible to the whole family. It’s Peter Pan, so my big question is, will we see flying? Well, I’m going to keep very tight-lipped about that. But what people can expect is that even though the musical is set in post-Victorian England in 1904, we break that period world down and just throw loads of magic, color, make-believe, and even some very modern-sounding British pop music at you—everything a fairy tale world could be. Mia Michaels, our choreographer who worked with So You Think You Can Dance, has a very distinct, very cool, very fun visual style of dancing, so I think the numbers we have are going to really excite. One of the elements I expanded the most from the film was the world set in the Duke of York Theatre, which is where Peter Pan opened in London, and in which we created our own acting company. 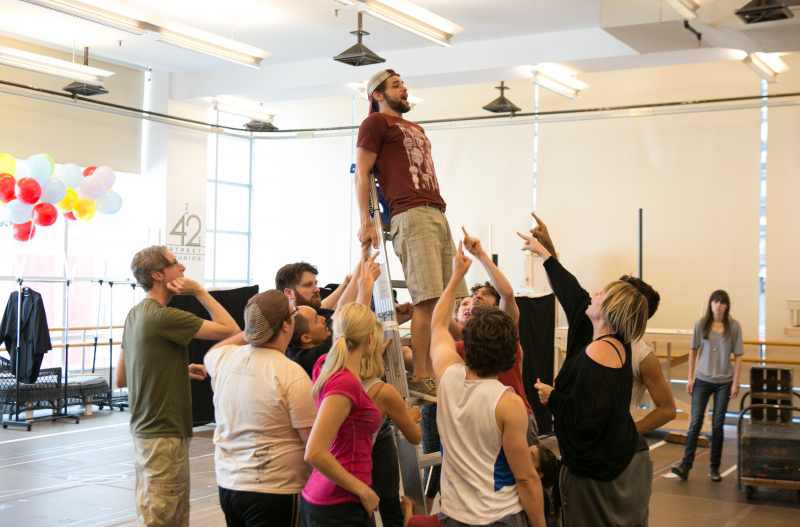 I think my favorite scene is the first rehearsal for Peter Pan—the mayhem and chaos that ensues in that scene will hopefully get a good response from the audience. 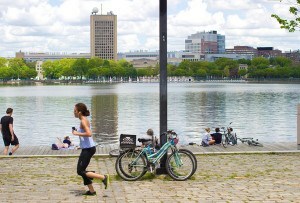 How have you enjoyed your time in Cambridge? I am completely, completely in love with it. I think it’s the most perfect place to make a play—it’s got peacefulness to concentrate, but also this huge vibrancy with the college—plus all the restaurants and bars. It’s the best thing to spend the day working with your company and creative team, and then at the end of the day go out to get a drink and some food at a cool trendy Harvard bar. I just spent my birthday, 32, at The Boathouse on Mt. Auburn Street. I was also here for the Fourth of July and saw the fireworks. I felt a bit nervous being a Brit here on the Fourth of July, given our history, but it was very fun. My favorite thing to do is just go to Harvard Yard, sit on the colorful chairs, and do some reading or writing. What’s next after Finding Neverland? I’m working on some film scripts with Harvey. We’re hoping to go into production on a book adaptation about the royal family next year. Back in the U.K., I have some other plays I’m working on at the National Theater and the Donmar Warehouse. I feel very lucky to work on a variety of different things, whether a political play or a family musical, a commercial film or an independent movie. That’s the most rewarding thing for me as a writer, to be able to play with new styles. Finding Neverland premieres July 23 at the Loeb Drama Center, 64 Brattle St., Cambridge, americanrepertorytheater.org. 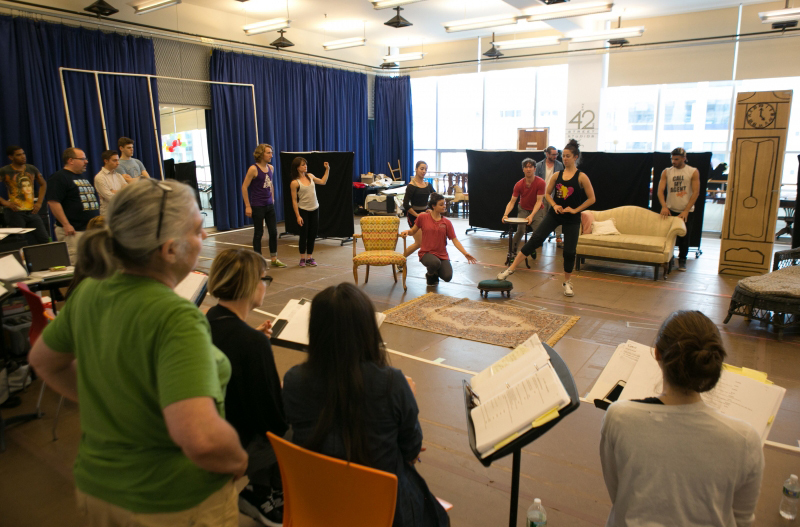 Below, check out scenes from workshop and rehearsals. Jeremy Jordan (J.M. Barrie) and cast members work with choreographer Mia Michaels.Jimmy Ryan / A.R.T. 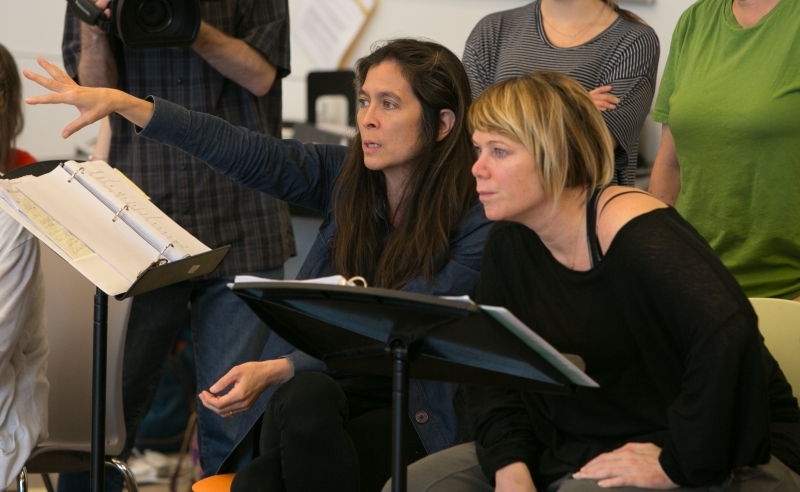 Director Diane Paulus and choreographer Mia Michaels discuss a scene in rehearsal.Jimmy Ryan / A.R.T. 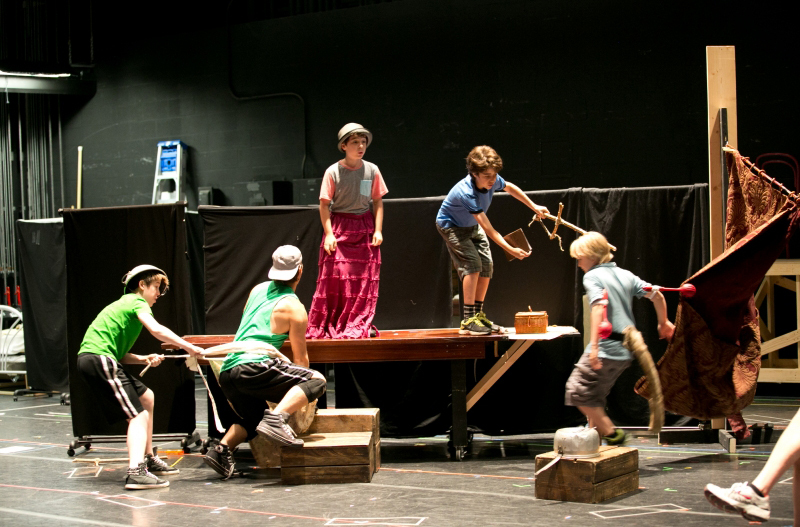 The cast of Finding Neverland rehearses a scene.Jimmy Ryan / A.R.T. 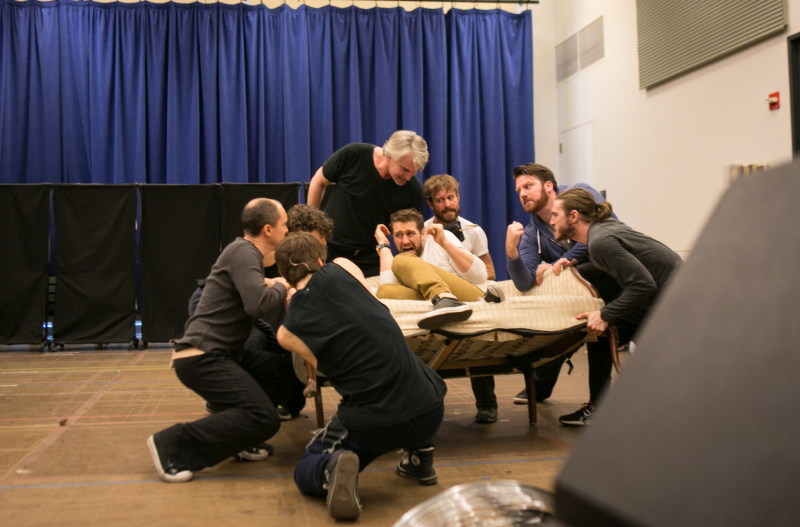 Sawyer Nunes (George), Thayne Jasperson (Porthos), Alex Dreier (Michael), Aidan Gemme (Peter), and Hayden Signoretti (Jack) in rehearsal.Evgenia Eliseeva / A.R.T. 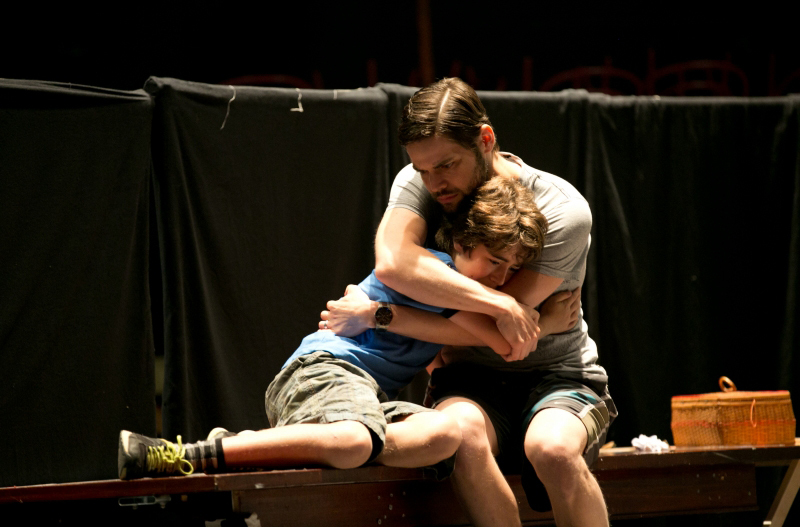 Jeremy Jordan and Aidan Gemme in rehearsal.Evgenia Eliseeva / A.R.T. 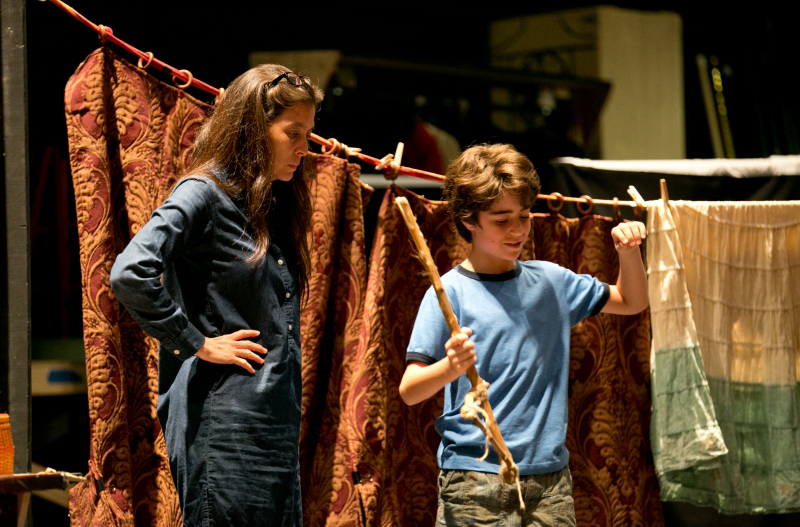 Diane Paulus and Aidan Gemme in rehearsal.Evgenia Eliseeva / A.R.T. 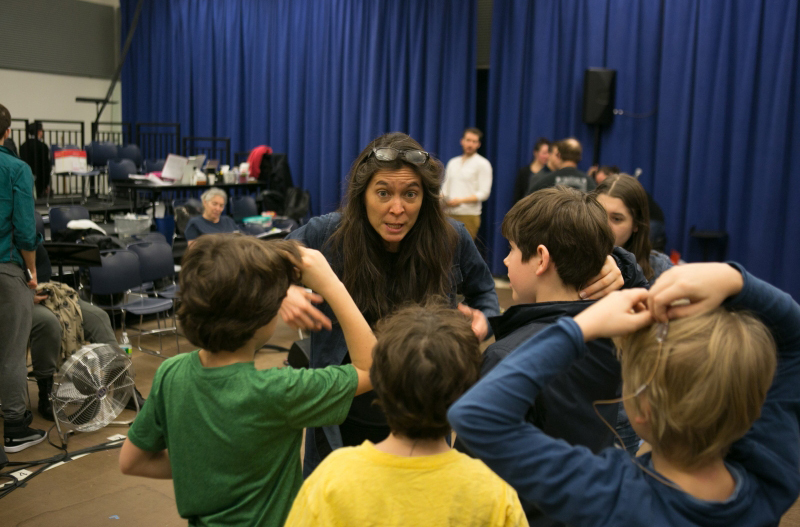 Diane Paulus works with actors during the show's workshop.Jimmy Ryan / A.R.T. The pirates come to life.Jimmy Ryan / A.R.T. 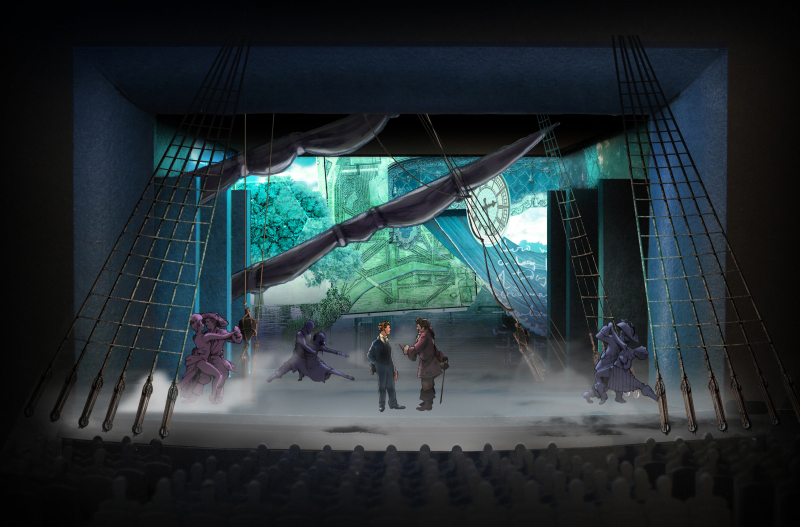 Set rendering for the song 'Stronger. 'Scott Pask / A.R.T. 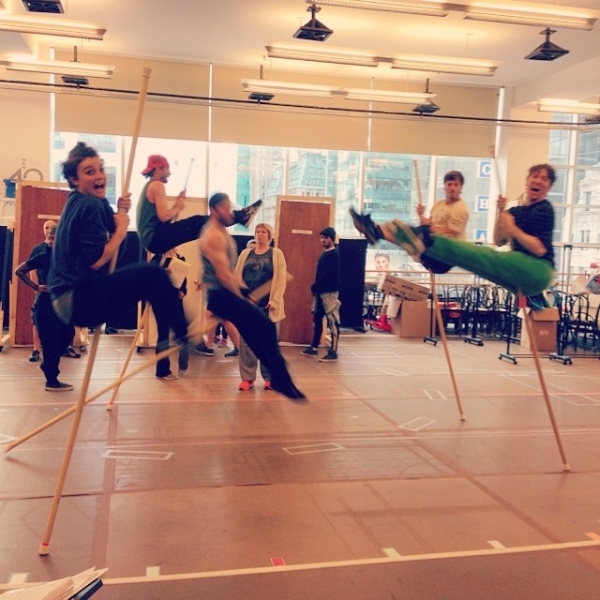 The Finding Neverland dancers rehearse.Via A.R.T.